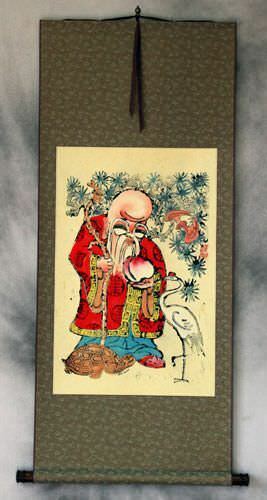 Artwork Panel: 32.2cm x 49cm ≈ 12¾" x 19¼"
Silk/Brocade: 41.5cm x 106cm ≈ 16¼" x 41¾"
This depicts kabuki actor Otani Oniji as the servant Edohei in mid-pose in play "恋女房染分手綱" or "Beloved Wife's Dyed (colorful) Reins." Tōshūsai Sharaku is probably the most unknown of all Ukiyo-e artist. 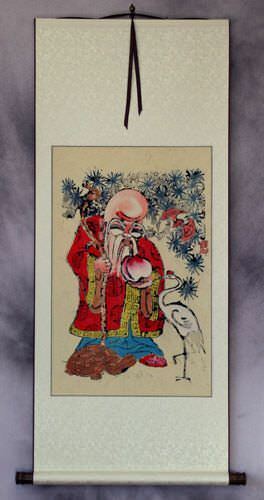 Sharaku's year of birth, death, or where he came from has not been definitively determined by any historian or researcher. He was active for a short period of time between 1794 and 1795. His artwork was not well-received at the time because of his realistic style (showing blemishes of his subjects, and not glamorizing anything). As generations passed by, his work became extremely sought after for its accuracy and realism. 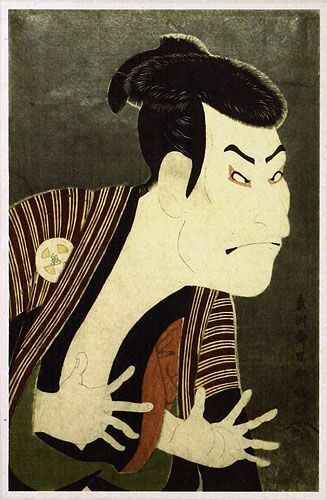 Original artist: Tōshūsai Sharaku 東洲斎写楽. 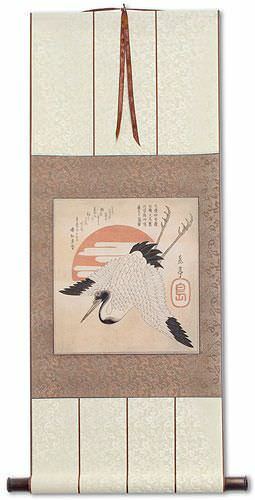 Original woodblock was created in Japan, around June of 1794. I created this print using some really fibrous handmade paper. You will see husks and fibers in the paper. The dye-based inks should give you good longevity if you don't hang this in direct sunlight.